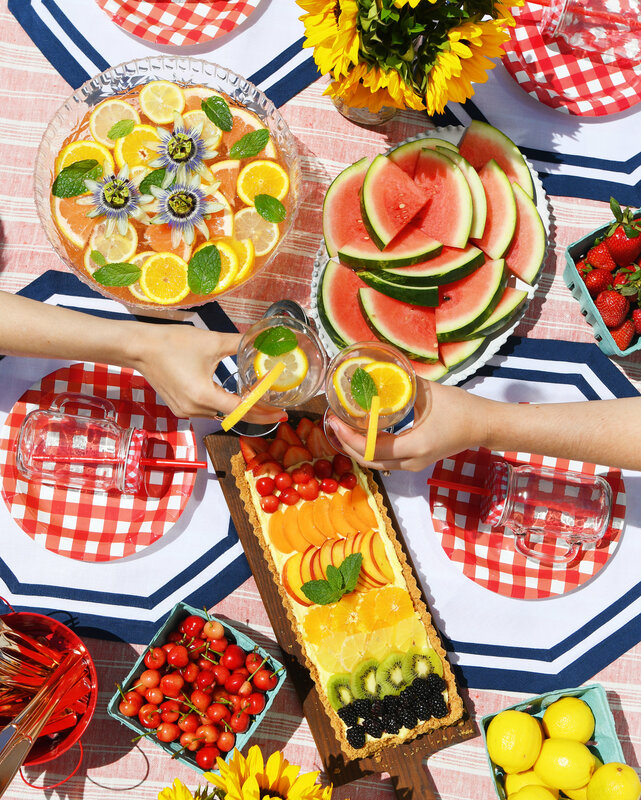 Cheers to kicking off the summer season with a little punch in your step and sweetness in your glass! 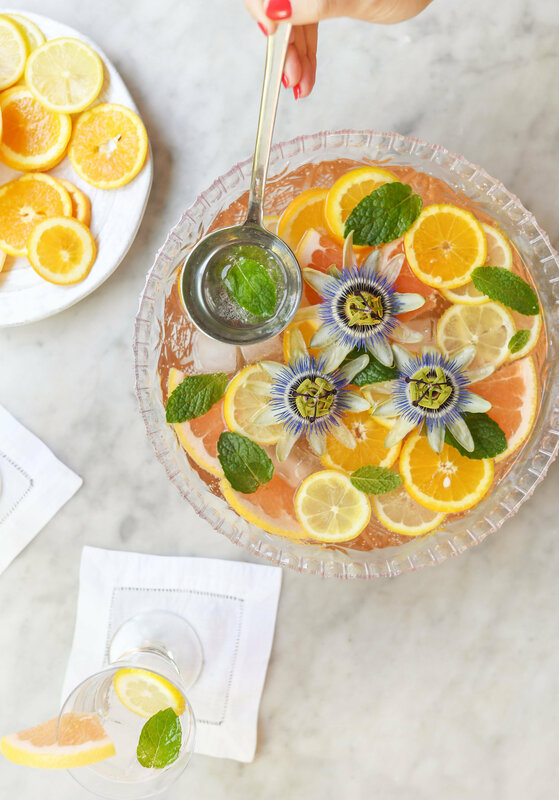 Whether you will hosting or attending backyard summer soirees, its always great to have a go-to cocktail recipe in your back pocket. 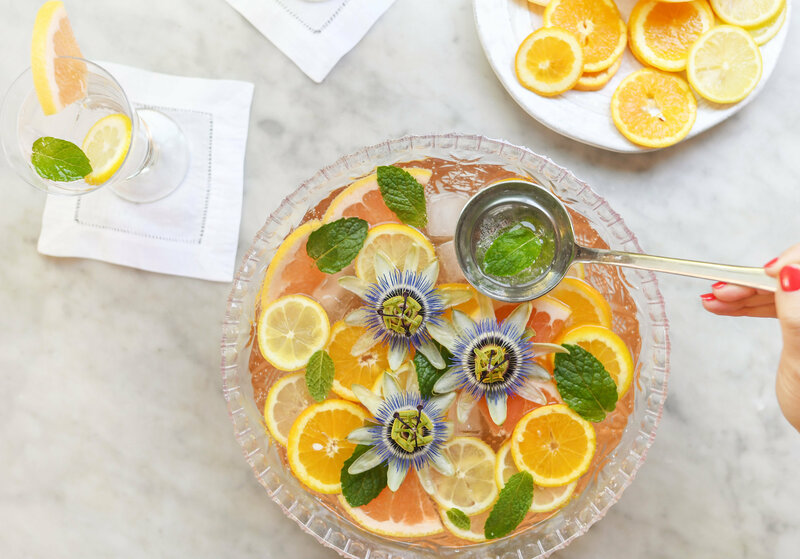 This is a perfect way to please guests with its refreshing taste and colorful vibes! 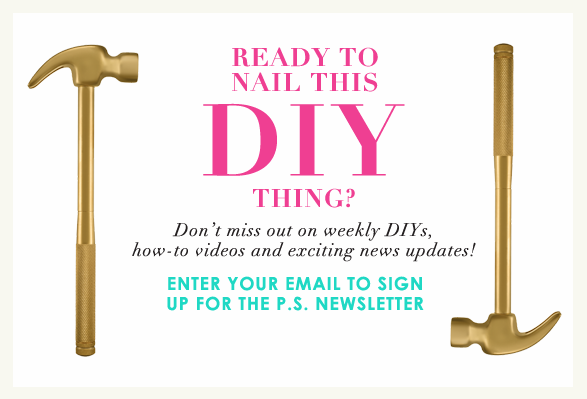 To create, reach for your favorite bottle of Rosé. This one was only $4.99 at Trader Joes! 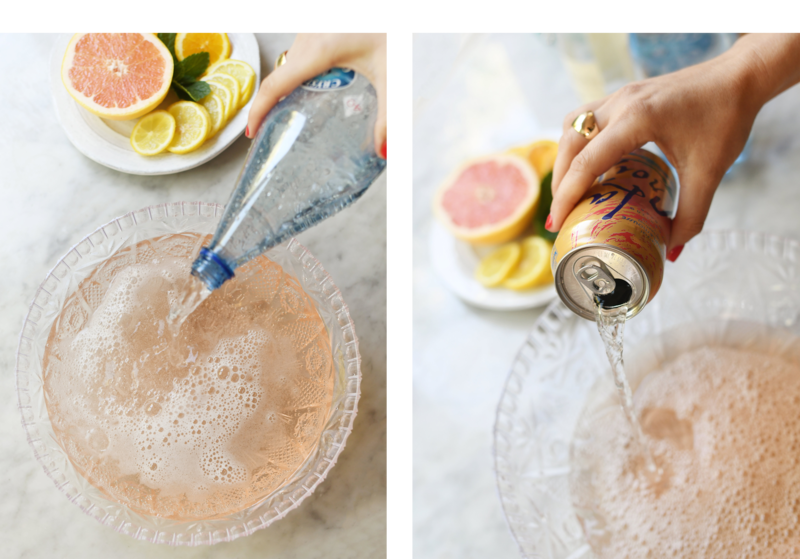 Mix with two-three cans of LaCroix for some bubbly flavor- we opted for our favorite Pamplemousse, and top off with some sparkling water! 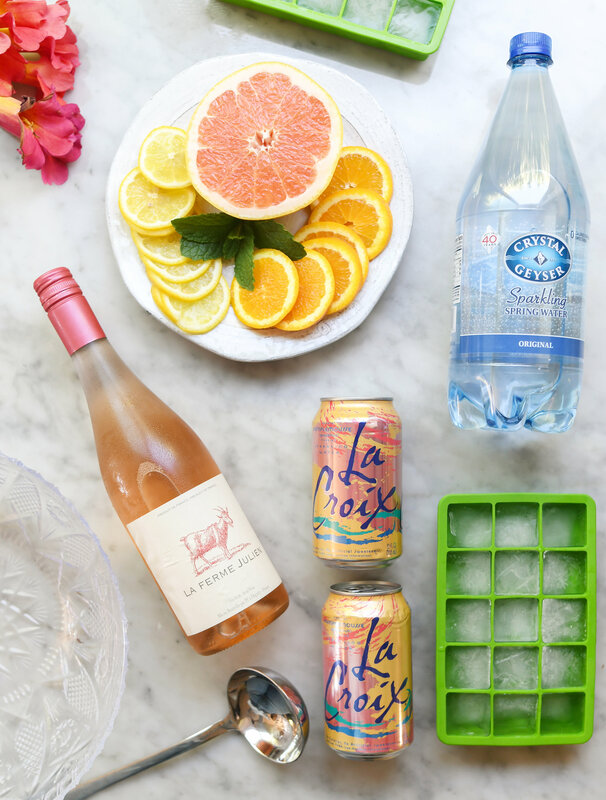 Whatever the hue of your rosé is, the clear bubbly drinks will tone down just a hint. 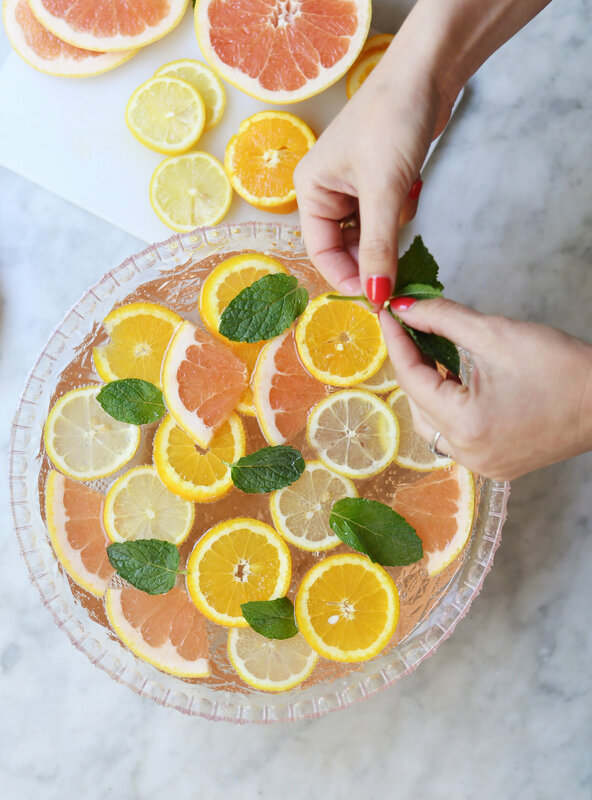 Adding fresh citrus will help to naturally flavor the punch. 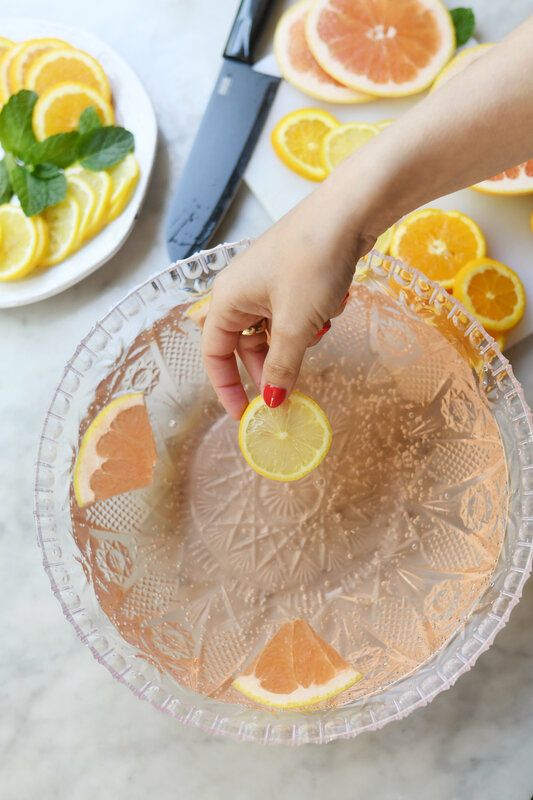 Be sure to slice lemon/orange wheels and grapefruit wedges thin, so they float on the top easily. Cutting too thick will cause them to sink. 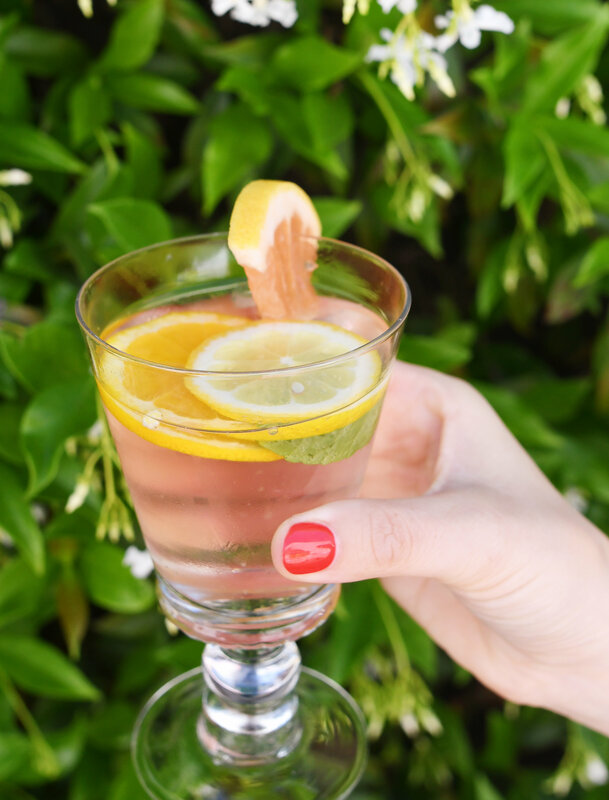 Fresh mint leaves add the perfect garnish! Last, but not least… adding fresh flowers as an over the top punch topper, says “this ain’t no ordinary punch”. 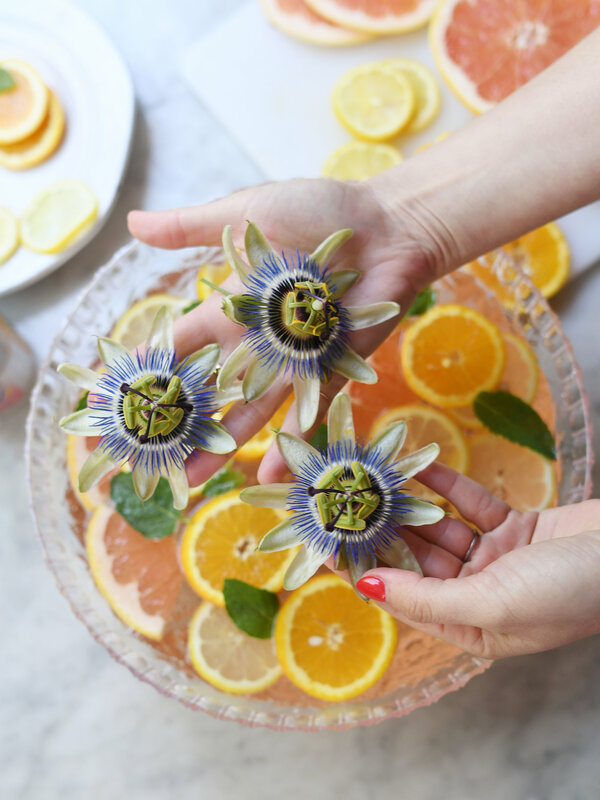 These are passion fruit flowers that play off the recipe and sweet vibe we were going for. 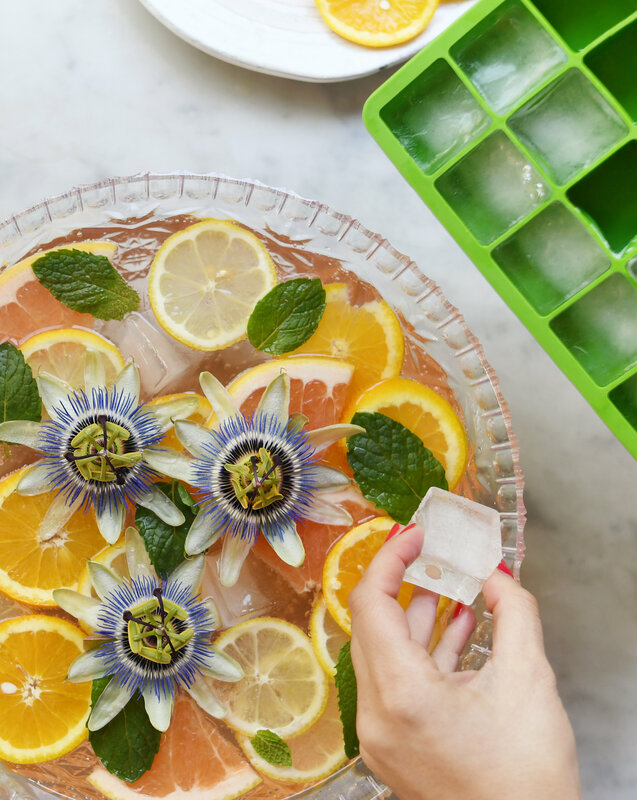 Right before you serve, drop in ice cubes. 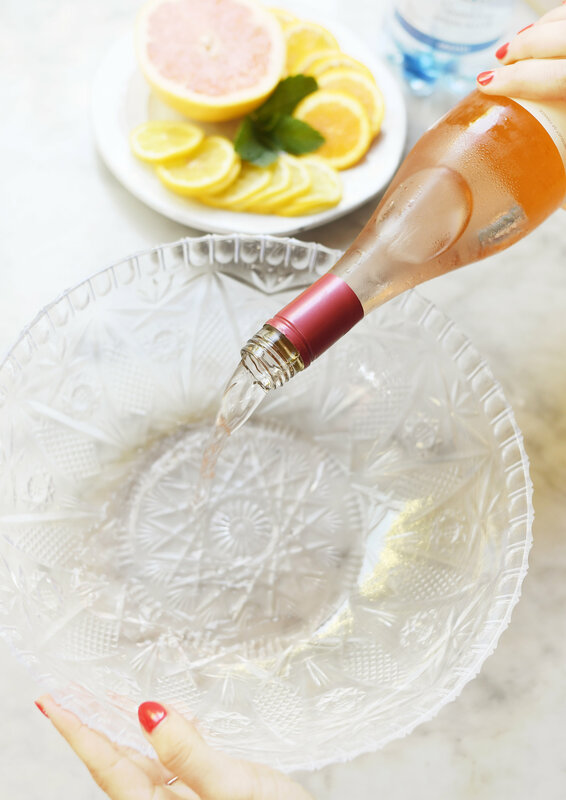 You don’t want the ice melting too much before guests arrive. Now that’s what we call, a perfect punch! Cheers!